The towering and battle-scarred 'Scotty' reported by UAlberta paleontologists is the world's largest Tyrannosaurus rex and the largest dinosaur skeleton ever found in Canada. New Delhi : A fresh report from paleontologists claims that it has found the world's biggest Tyrannosaurus rex which is also the largest dinosaur skeleton ever found in Canada. The 13-metre-long T. rex, nicknamed 'Scotty,' lived in prehistoric Saskatchewan 66 million years ago. Researchers in the University of Alberta have reported about the world's biggest Tyrannosaurus rex. "This is the rex of rexes," said Scott Persons, lead author of the study and postdoctoral researcher in the Department of Biological Sciences. "There is considerable size variability among Tyrannosaurus. The largest ever dinosaur skeleton has been discovered with leg bones suggesting a living weight of more than 8,800 kg, making it bigger than all other carnivorous dinosaurs. The scientific work on Scotty has been a correspondingly massive project. 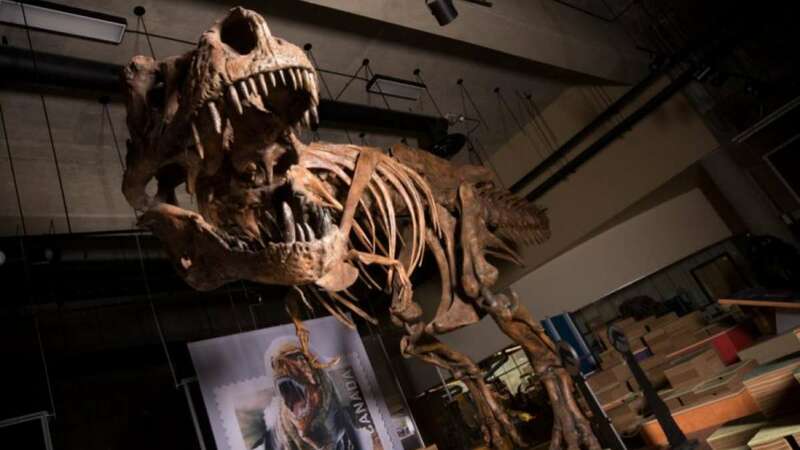 The skeleton was first discovered in 1991, when paleontologists including T. Rex Expert and UAlberta professor Phil Currie were called in on the project. But the hard sandstone that encased the bones took more than a decade to remove and only now have scientists been able to study Scotty fully-assembled and realize how unique a dinosaur it is. However, the age of this gigantic animal is relative and T. rexes grew fast and died young. Scotty was estimated to have only been in its early 30s when it died. Among Scotty's injures are broken ribs, an infected jaw, and on its tail. A new exhibition featuring the skeleton of Scotty is set to be launched at the Royal Saskatchewan Museum in May 2019. We'll come up with more news about the ancient wild animals. Till then, stay tuned with us!